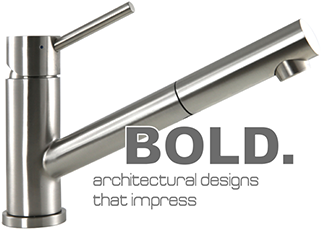 A combination of specialist European manufacturers produce perfect mixer taps, designer sinks and other sanitary kitchenware. Master steel finishers to hand finish all surfaces. Just remember that all not all stainless steel taps are high quality. There are many grades of stainless steel in terms of hardness and anti corrosiveness. Swedia stainless steel balances these properties to maximise the lifetime of your kitchenware. And the internal components, especially the ceramic cartridge, can be of highly variable quality. Swedia only partners with the manufacturers of the best components available.